Hard work. 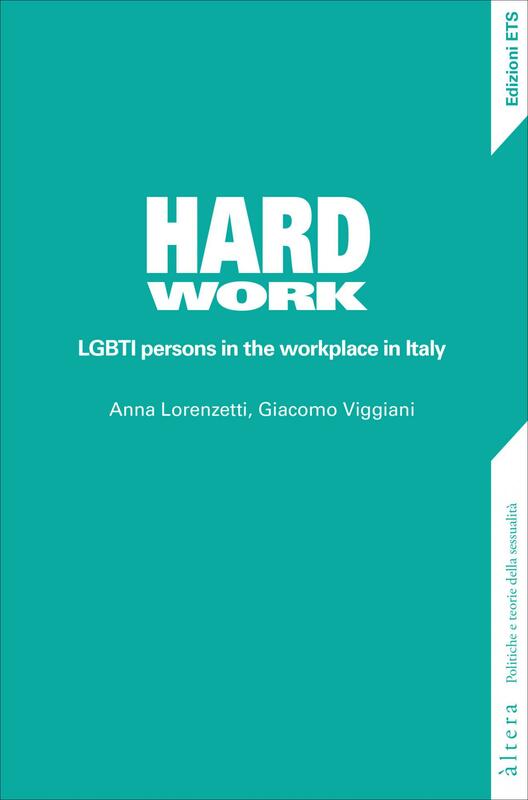 LGBTI persons in the workplace in Italy offers a fresh perspective on LGBTI employment conditions in Italy, presenting a case-law analysis of the topic and providing readers with basic background law, including constitutional and statutory law governing employment relationships. While still utilising a traditional employment discrimination approach, this text emphasises a number of relevant workplace cases and the social scenario which prevails in Italy. The book offers the final results of fieldwork on labour discrimination in Italy and includes a chapter on “best practices” which discusses the most effective ways to address and counteract workplace discrimination, from both a theoretical and a legal perspective. Anna Lorenzetti is Research Fellow in Constitutional Law and Temporary Lecturer in Gender Analysis and Anti-discrimination Law, University of Bergamo (Department of Law). Giacomo Viggiani is Lecturer in Philosophy of Law, University of Brescia (Department of Law).